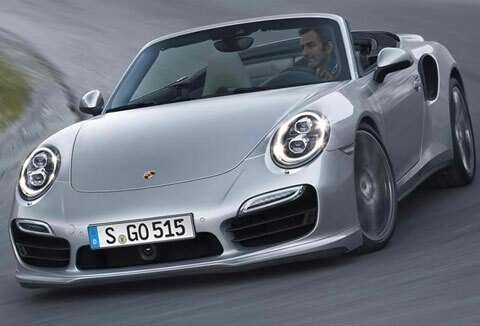 One Germany's premier car manufacturers recently announced the new, up and coming 2014 Porsche 911 Turbo Cabriolet. Two new models have been added to the lineup as part of their new line up. The Cabriolet comes with visual improvements along with two new engine options to fill in any gaps in the series. 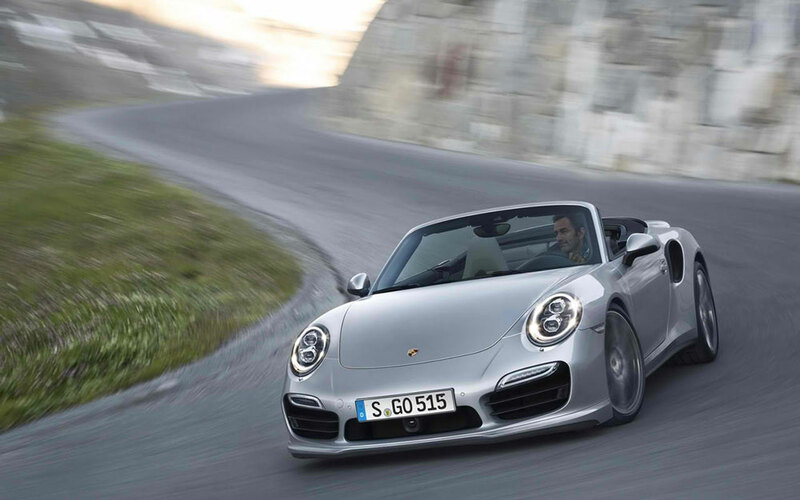 The 911 Turbo Cabriolet will have a 3.8 liter horizontal six cylinder engine with either 520 horsepower or 560 horsepower that is capable of going from 0 to 60 mph in 3.5 seconds and respectively 3.2 seconds. The top speed has been limited to 198 mph for both models. 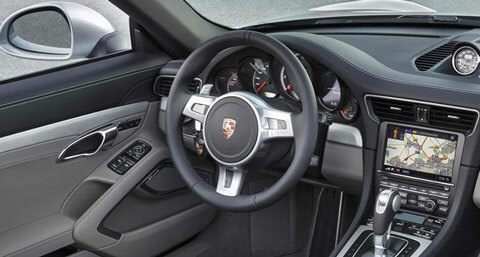 The transmission is a PDK dual-clutch gearbox and features all-wheel drive to go with rear-axle steering. The aerodynamics of the car do help with its road stability adding more road grip. Steering has been improved with the aid of the rear-axle steering and the all-wheel drive will ensure enough driver control in difficult weather conditions. 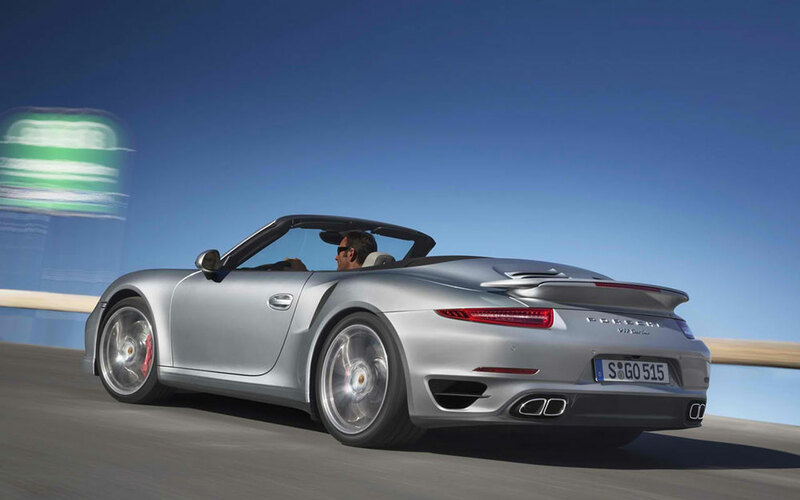 The 911 Turbo Cabriolet keeps most of the traditional design elements that have been used by Porsche. The front features the same headlights but the air vents have been increased in size. New air intake openings have been added to the rear. From the rear the car received a sport like design with four exhaust pipes, two on each side and wide but narrow tail lights. 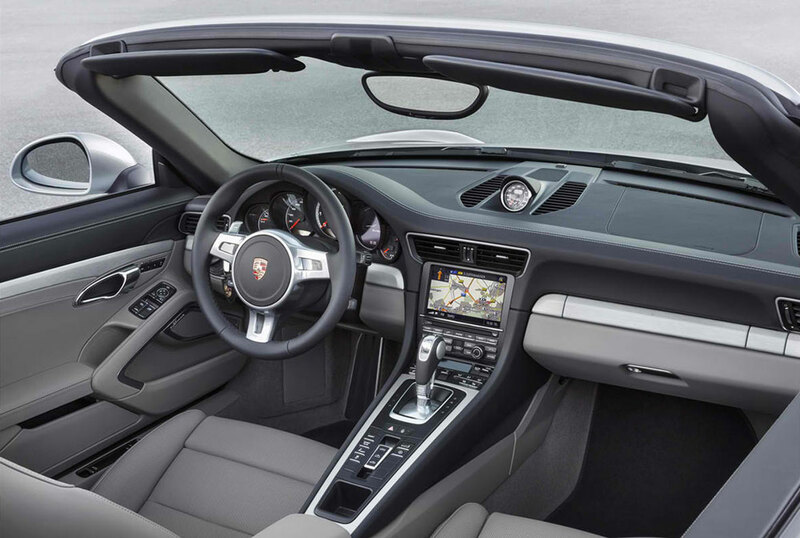 The interior of the Cabriolet is similar to the one in the 911 turbo Coupe. It is available in multiple colors including an exclusive Carrera Red. The overall theme features sharp geometrical lines with leather seats, black dashboard and a central panel that separates the driver from the front passenger. 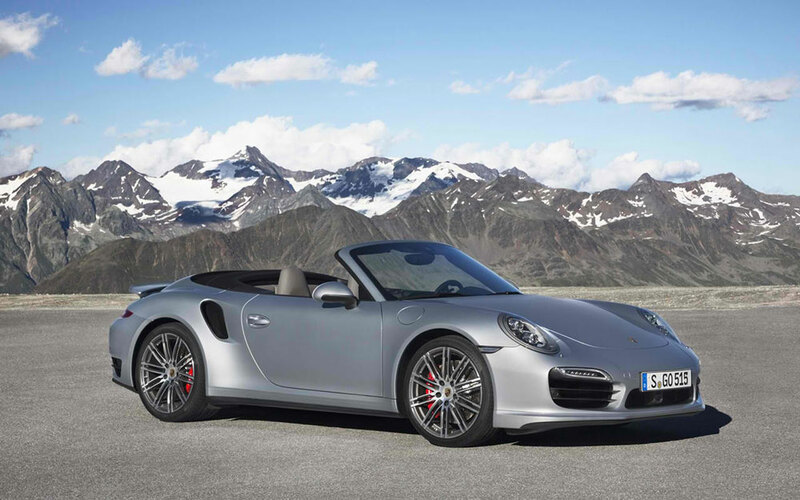 The2014 Porsche 911 Turbo Cabriolet is part of a line up teeming with premium interior and engine options, generating more power while keeping fuel economy under control.